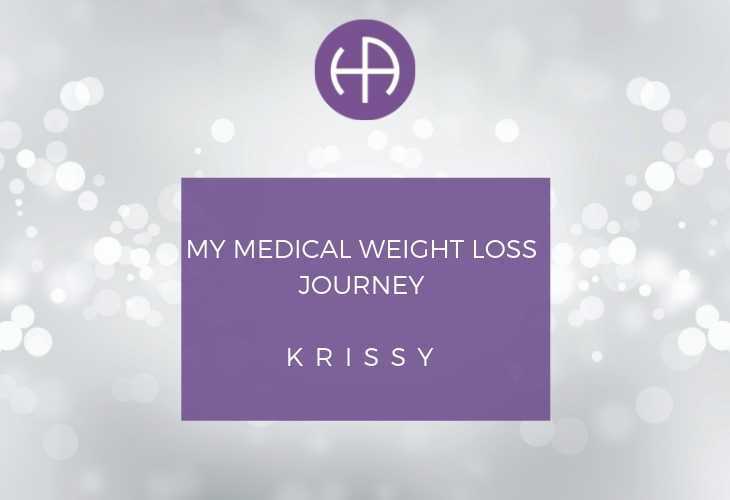 Hi, I am Krissy and I have been given the exciting opportunity to share my medical weight loss story with you. 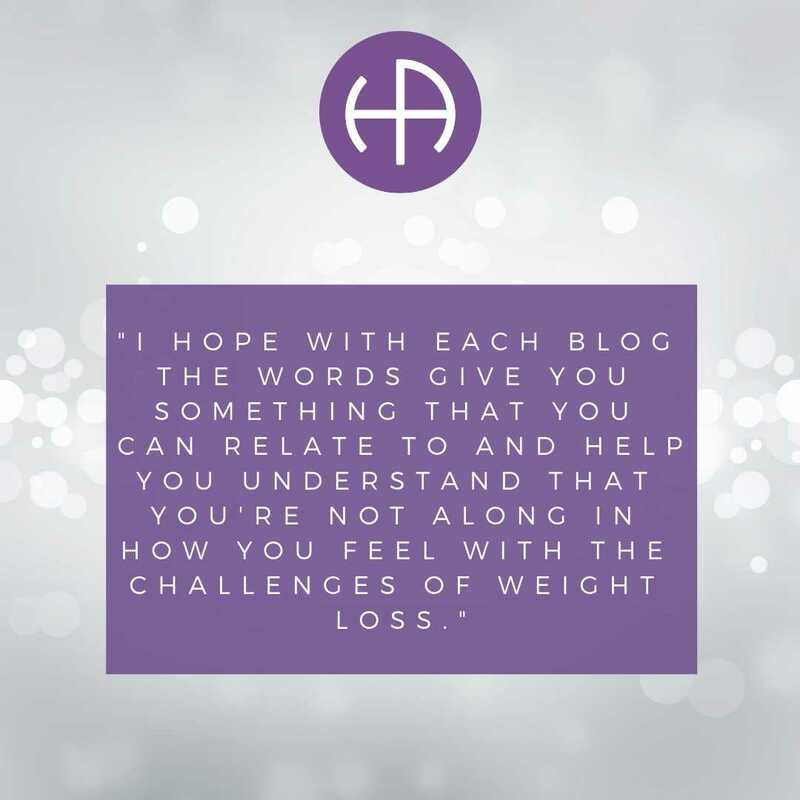 I hope with each blog the words give you something that you can relate to and help you understand that you’re not alone in how you feel with the challenges of weight loss. I hope my words will encourage you to keep going forward, to make the changes that will ultimately change your life for the better. I can’t say it will be easy, it will always have its challenges and boy have I faced some challenges! But it’s how you deal with them and how you use the support around you to guide you through the tough times, that makes all the difference. 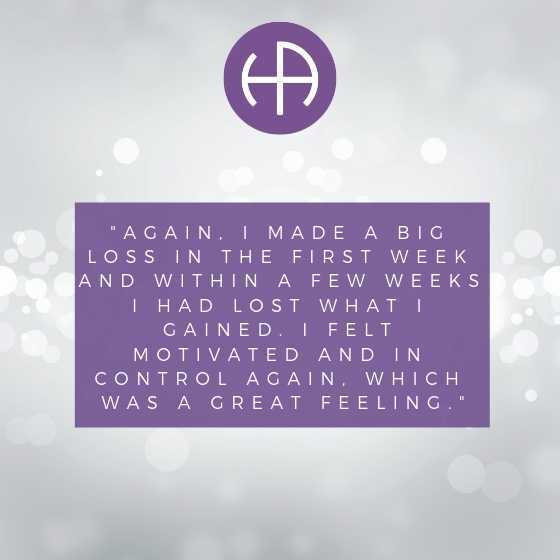 The Health & Aesthetics team have helped so many people to transform their lives through the medical weight loss program and even though I have not yet completed my journey, my life already feels a hundred times better. The clinic has designated therapist, who are very experienced and knowledgeable about the program and are there to support you. They have great advice to help you through any situation, especially social gatherings which require much will power and determination to remain in control. At this moment in time I am 3 stone lighter and already feel like a different woman. I can walk up the stairs without feeling breathless, I no longer struggle to get my shoes on and no longer get hideous heartburn. I feel so much healthier. I still have another 5 stone to go but I feel determined. I am learning that’s its not just a physical adjustment but also a psychological one too. The program has made me stop and think about why I eat the way I do, recognise situations that trigger me to comfort eat, eat secretly or even binge until I felt disgusted in myself. Our relationship with food is a constant battle to those who love it and are even addicted to it. Its not as if we can just go cold turkey (pardon the pun!) and just stop eating, we need to eat to survive but why do I find it so hard to stop eating? My journey so far has certainly not been smooth sailing, there has been a few curve balls thrown in the way, which have made me come off the program but certainly not for wanting too. Like many people out there I have tried every diet going and continually go through the cycle or losing weight, but then getting bored and putting all the weight back on and some more! 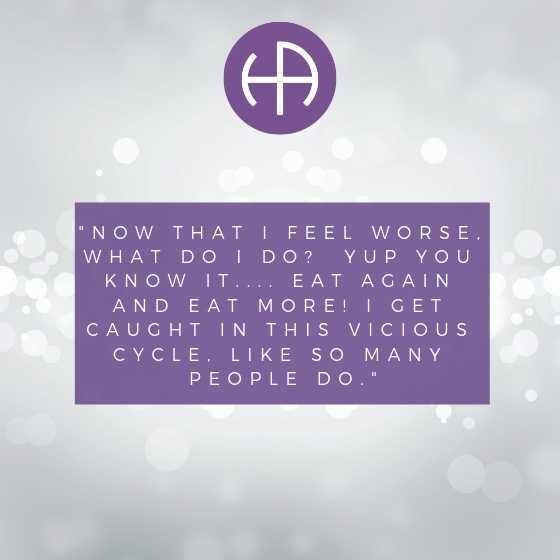 I think they should call it emotional roller coaster diet not yoyo dieting because it has a devastating impact on your self esteem and self-worth. I was at most-lowest ever point when I heard about the medical weight loss program and was very sceptical that it was just another fad diet scheme trying to trick me out of my money…such a sucker when I believed there was an easy fix. So hang tight and join me next time when I let you know what my first experience of my medical weight loss program was really like, its not what you might think……. So, my first experience of this medical weight-loss program was two things- not at Health & Aesthetics and a horrendous experience! 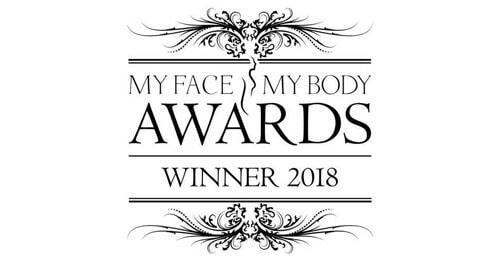 It was in a small beauty clinic locally and it took a lot of courage to contact them and make the first steps to hopefully changing my life. On arrival at this other clinic, I had to sit in a cramped waiting room and fill out what felt like hundreds of forms including lots of questionnaires about my eating habits and my mental status, which made me feel like a complete failure because at that moment in my life I was not in a healthy state physically or mentally. Once I had completed the forms, I was taken to what literally was a cupboard with the assigned therapist and we both crammed into this tiny space, which made me feel even bigger! It felt like I was Harry Potter hidden away in the cupboard under the stairs, where the unwanted belonged! Low and behold more forms to make my self-esteem dive a little lower and a very short explanation of the program before I had to decide if I was willing to commit to the program that I did not fully understand. I agreed to go ahead but at the back of my head was full of doubt if I was doing the right thing, but I had to have my bloods first and then return, so I knew I could run if I wanted. So once I agreed to go ahead, I was taken to another cupboard to get weighed, which if your overweight is not a fun-filled experience but having to step on scales which are situated in a tight corner, because you can just about fit on them without being shoved into the wall and yet again made to feel like a big fat waste of space. Then I had to have my bloods taken and because I had been advised to fast before the bloods but not told that I could and should drink water, this made it difficult to take my bloods but even more difficult by someone who was not experienced at all and very nervous but of course it was the fat lady’s fault that she wasn’t easy to bleed, to say it was quite a painful and humiliating experience was an understatement. I was then told to return next week to try again but I took this as my chance to escape and never return. 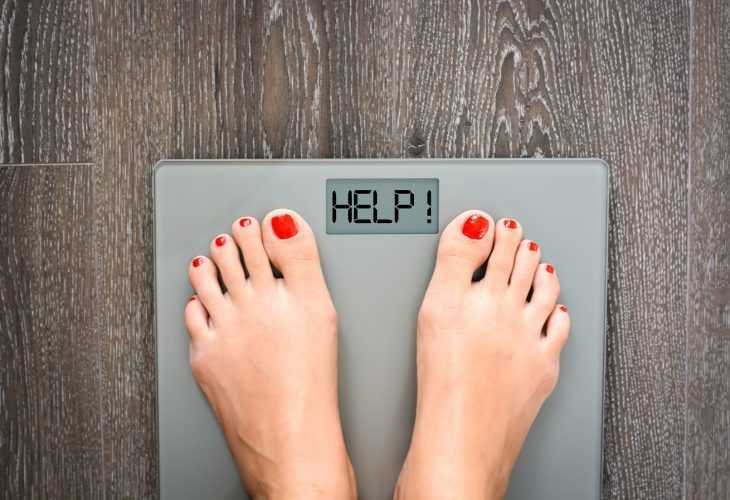 I soon as I left, I burst into tears, I felt traumatised and felt like I had the rug pulled out from me because I had such high hopes that this could be the answer to all my weight problems, but it was a disaster! And of course, now feeling at my lowest ebb, returned home and proceeded to eat in an attempt to make myself feel better. So now at a loss about what to do, I talked to my partner about my experience and he suggested that I try another clinic. This did fill me with dread, but I had to try, I felt like I had nowhere else to turn. My partner has been my rock through this process. I am very lucky to have someone that I can talk to about how I feel. He understands and suggests solutions instead of criticising, judging or putting me down because of the way I am, like previous partners have. Its important to find someone that you can be honest and open about how you feel and who can understand what you are going through and can support you. Initially I was embarrassed about being on the program and didn’t tell any of my friends or work colleagues, thinking they wouldn’t understand, but I couldn’t have been more wrong! Anyway, where was I….oh yes, so I decided to try again and called the Health & Aesthetics team. I was honest and open on the phone and explained that I had not had a great experience and was apprehensive about doing the program. The receptionist was so friendly and put me at ease straight away, explaining more about the program and the clinic in 10 mins than I had done in 3 hours at the other place. So, I booked a consultation and met with Dr Tailor a week later. This was reassuring that I was being booked with a medical professional, having come from a health background professionally myself. On the first consultation I was made to feel so welcome by the staff and felt like a completely different experience. When I met with Dr Tailor, she made me feel very comfortable and explained in detail the medical weight-loss program and how it all worked, using clear diagrams to illustrate certain health factors and why it was important for health to lose weight. 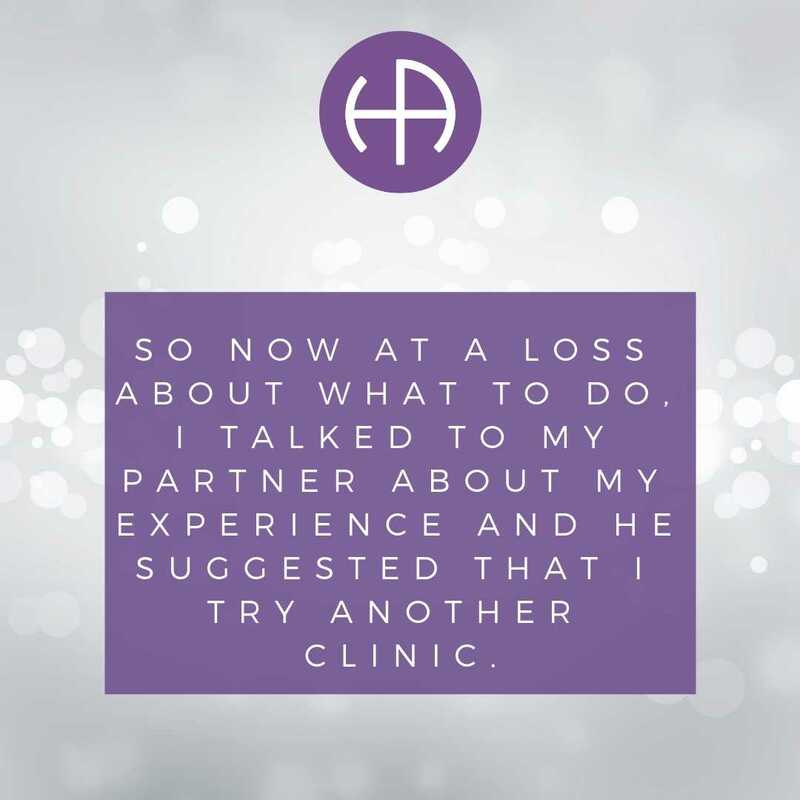 She was honest and open and explained that in order for it to work, I needed to stick to the program for it to work and that there will be challenges along the way but that the clinic was there to support me. Dr Tailor then checked me over physically, discussed the physiological aspects and took my bloods which was swift and pain free! I completed the in-body analysis which takes your weight and shows where the fat has stored in your body. I was surprised how much visceral fat I had around my organs, that’s not good! I was also surprised the percentage that was stored in my arms, not what I expected. So, the consultation was such a difference experience from my hideous one previously, I walked out feeling full of hope and excitement that this was going to work, finally an answer to my constant battle of the bulge! 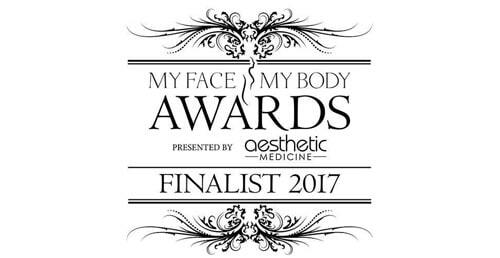 Now that I had completed my consultation, I had the go ahead that it was safe for me to start the program! It was reassuring to know that I was medically healthy even though I knew of course my health was being affected significantly by being so overweight. However, having the go ahead was both exciting and very nerve wracking at the same time. There were so many things buzzing around in your head both positive and negative, trying to imagine what it will be like and whether it will work. I had my first appointment with Alix and she went through in detail about the program and gave me lots of helpful tips to help manage my first week on the program. It was a lot of information to take on and at times I did get a little confused, but I did call the clinic a couple of times for advice and my questions were answered. I also started my treatments that day. You have two treatments and you have to wear this body suit, kind of feels like a superhero costume, always make me laugh but it’s very comfortable. The first one is an ultrasound treatment which helps assist the breakdown the fat under your skin. These fat cells are stubborn and hard to target through conventional dieting alone. This is completed on your tummy to target the stubborn visceral fat and is lovely and warm and very relaxing, almost sends me to sleep! The second treatment initially feels a bit uncomfortable but after a few sessions begins to feel like a relaxing massage. It can be uncomfortable over certain areas and as the therapists explain, its usually where the cellulite is hardest. Even though its uncomfortable you its breaking down the nasty fat that causes dimples in your thighs, so it’s worth it. After the treatment I went home and had a good read through the information and started planning my week ahead, with much excitement! 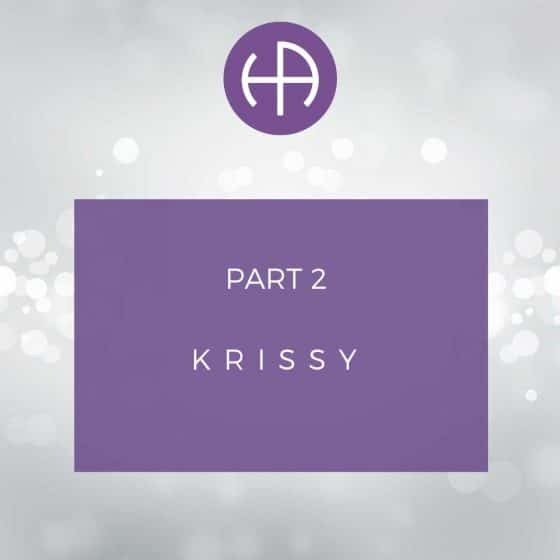 It was quite confusing to start with but as I started making up the different packs and getting in a routine of taking my vitamins and minerals, things started to slowly make sense. The trace minerals were disgusting to taste, as Alix had warned me. But I used her tip of sucking on a lemon and that made it much more bearable! It was almost a relief that the decision making of what to eat was taken away, knowing that what I was eating was all planned out. You do have choices in what you eat but having the limitation made it easier for me. My partner agreed that I would take care of my meals and he would sort out his meals, so that initially I wouldn’t get tempted, which really helped. Obviously when you start, you’re trying different packs to see what you like and don’t like. I loved the omelette and the drinks, I would make the drinks into smoothies, adding lots of ice and whizzing in the blender. I experimented with the hot drinks as cold smoothies and they tasted better cold! I found the pizza mixed smelt strange but actually tasted really yummy, but I wasn’t a fan of the soups or vegetable mince. I felt quite tired during my first week and had a few headaches, which was normal because I wasn’t drinking as much caffeine but by the weekend that started to pass. Before I knew it, I was back at the clinic to be weighed again and have my treatment again. I was absolutely amazed to learn that I had lost 7lbs in my first week! That was incredible! I had never lost that much weight in a week, I was amazed. During that week I had not felt hungry and had to make sure that I could actually fit all the 5 packs into one day. Then with each week that passed I found food that I liked and got into a routine and the weight was just falling off…. never thought I would say that! I had lost my first stone within 3 and a half weeks of being on the program. As I got into a routine, I was losing about 3lbs each week. I had more energy, felt more positive and confident that I was in control of my body and had finally found an answer to the problem I had been fighting for years. When I had lost just over 2 stone about two months into the program, I noticed that my periods were late. So, at this point I need tell you some background information about my personal life. So about 4 years before starting the program, myself and my partner Alistair decided to start trying for a baby. My partner and I were both in our early 40’s. 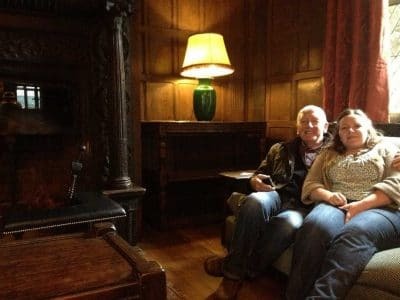 We both have been married before and Alistair has two children from his previous marriage, but I had not reached that point in my previous marriage before we separated, having married quite young. Within a short while I became pregnant and we were both very excited but unfortunately, I had a miscarriage at 8 weeks in the pregnancy. This was devastating news and concerned me that I was not going to be able to have a child but as I discovered, miscarriage was much more common that I realised, with 1 in 4 pregnancies ending in miscarriage. We tried again, and I became pregnant again within 3 months, but again this was not supposed to be, because I had another miscarriage. This was heart-breaking and the thought of going through this again filled me with dread, but we tried again and another 3 months later I became pregnant for the 3rd time, but yet again this ended in tears and heartbreak with another miscarriage at 9 weeks. As you can imagine this was such a difficult year and feeling so down and turned to food for comfort and put on about 3-4 stone. We were encouraged to keep trying to get pregnant but after 2 years it never happened again. I had numerous tests to see if something was causing this but the doctors said there was nothing wrong with me and there was no medical reason except that I was aging. 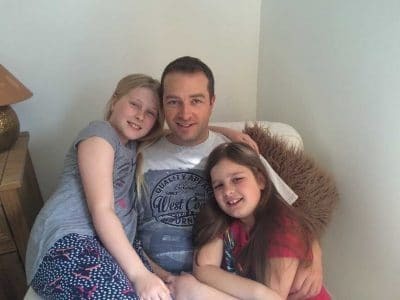 Over time we came to the conclusion that it wasn’t supposed to be and I was happy that I had two beautiful step-daughters in my life and a wonderful partner. I decided to focus on my career by starting a master’s program through university distance learning and working fulltime…crazy! I also decided to focus on being healthy and getting my confidence back, so decided I needed to lose weight and started the weight loss program. Going back to being 2 months into the program and it going really well, I discovered my period was late and after doing a test realised I was pregnant. I was both excited and very scared at the same time. I felt bad but was also disappointed with the timing because I was doing so well on the program, but it was because I had lost weight that I had become pregnant which Dr Tailor had explained to me. I called the clinic immediately because I was due to have treatment that day and was concerned. Firstly, they congratulated me and then advised me that I had to stop the program immediately and get back in touch again when I was ready to return. I was in complete shock that my life had changed within a matter or hours! I will let you know what happens in my next blog, until next time. Welcome back! Just a wee recap, I had to leave the program back in May last year because I had become pregnant after a period of 2 years of not being able to become pregnant due to being overweight and I had a history of multiple miscarriages. Due to having the miscarriage history I was closely monitored by the hospital and had scans at 8, 10 and 12 weeks and all looked well until I had to have blood tests at 12 weeks, which showed a high risk of complications. Then followed numerous blood tests, scans and other investigations including an amniocentesis which brought about significant concern and anxieties about what was wrong. After all the tests were completed, we were told the devastating news that our baby had significant chromosomal deformities and would not survive the pregnancy and we were advised to end the pregnancy because it could also put my own health at risk. To say this was a heart-breaking decision is an understatement, it just felt like our whole world had collapsed and everything was against us having a baby. Like all difficult times in my life, I turned to food for comfort and a way to help drown out the pain and sadness. I find that food gives me that instant gratification and pleasure that I am looking for, but it doesn’t last, it’s just a very temporary fix. The feelings afterwards just make you feel worse, the guilt, the anger at yourself for not having any self-control and feeling worse than you did initially. Now that I feel worse, what do I do? Yup you know it…. eat again and eat more! I get caught in this vicious cycle, like so many people do. I know I do this, and I recognise it, but why can’t I stop it? I am a smart, intelligent woman and know it is so stupid to do this to myself, but I just can’t seem to stop. It’s so hard to control the cravings! I suppose it feels like an addiction, I am addicted to food and just can’t seem to stop self-sabotaging. So how do I break the cycle? I don’t yet have the answer to this question, but I do know that the health & aesthetics team can help me and guide me to finally break it. Once I was well enough, I went back to the clinic in October last year and went back on the program. 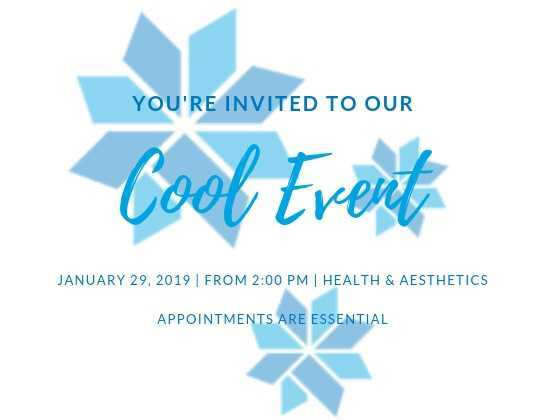 The team at the clinic were so welcoming to have me back again and so understanding of my situation, they made me feel so welcome and safe at a time that my self-confidence and self-worth were at an all-time low. I got weighed, the moment I was dreading, and I had put on a stone. I thought it was going to be worse, the 2 stone that I had lost back on and more, but I had only put half back on, so that was positive. The first week back, I welcomed the structure and focus of the program. I knew what I had to do, I knew what food I liked and go back into a routine very quickly. Again, I made a big loss in the first week and within a few weeks I had lost what I gained. I felt motivated and in control again, which was a great feeling. We were now heading towards December and yet another hurdle, not just Christmas but something I have not yet mentioned was on the horizon. In January 2018, myself and my partner decided to give ourselves a goal and motivating factor to help us to lose weight and get healthy as part of our new year resolutions. We booked a 4-week holiday to Australia! I initially tried to diet again by myself but as you know that just wasn’t working and I found the Alevere program and started the program at Health & Aesthetics in April 2018. After my consultation with Dr Tailor, I was shown that I could lose most of my weight by August and reach my goal by Christmas, which was perfect. I would be looking and feeling great in time for our big holiday. I would be able to wear a bikini, something I have not done since I was 13 years old! However, as we know life doesn’t always run according to our plans. Having to come off the program at the start of June and not returning till October due to the pregnancy, that plan had left the building. Initially with the pregnancy, we thought we would have had to cancel the holiday, but we didn’t, and that was fine we had something else to look forward to. As it came about it was lucky that we hadn’t cancelled the holiday because it still gave us a focus, something to look forward to and just what we needed after such a difficult year. After 3 months back into the program and having lost 3 stones, I had the dilemma of the holiday, which played on my mind. I was open and honest with the clinic and they knew that I had the holiday booked and they were excited for me but also wanted to make sure that I didn’t undo all the hard work, time and money that I had put into having lost 3 stone and feeling so much happier, confident and in control of my life. The therapists knew that the temptation of being off the diet can be overwhelming and can cause a person to “fall off the wagon”, because it is like or is an addiction and with the situation changing to having structure and boundaries to a free for all, all can collapse. The therapists were brilliant and gave me lots of advice and suggested slowly coming off the diet by doing level 2 for a week and then level 3, so I could maintain control over the Christmas period before I left for Australia. Usually you can’t take food into Australia, but Dr Tailor offered to write a letter to support me taking the food into Australia, so I could continue the diet. However, I decided I just wanted to enjoy my holiday and decided whilst I was there to enjoy myself but try my best to make healthy choices and continue to exercise to limit the damage. If I put on a few pounds then that was ok, I would get back on track again once I came back and returned to the program. So off to Australia I went on boxing day….. 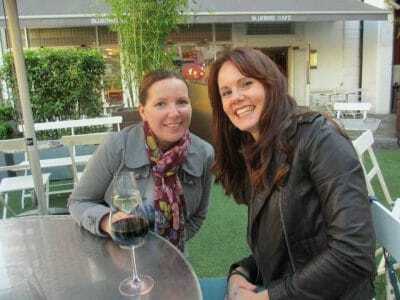 I will tell you in the next blog how I got on down under! 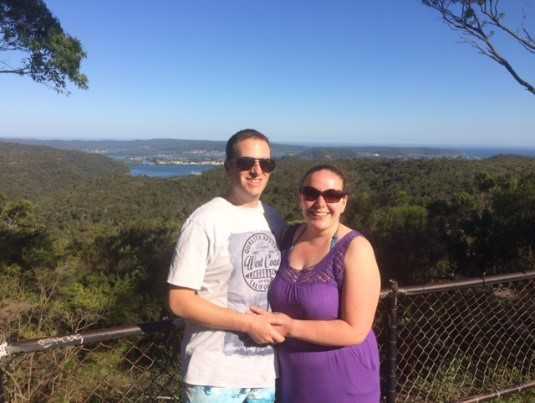 At the end of the last blog I was discussing going to Australia over the Christmas period and decided to come off the diet whilst I was on holiday. I had my last weigh-in the weekend before Christmas and managed to stay on task until Christmas eve. Christmas is such a difficult time to focus on weight loss, I am sure everyone will agree! It’s like the world is against you and no matter where you turn there is temptation! 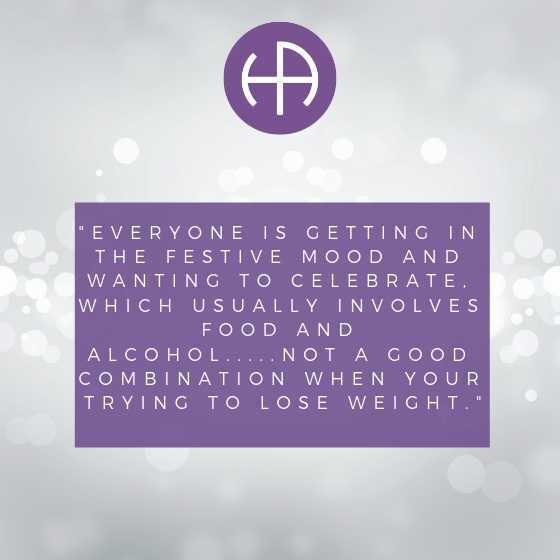 Everyone is getting in the festive mood and wanting to celebrate, which usually involves food and alcohol…..not a good combination when your trying to lose weight. Work colleagues want to go out to celebrate as a team, friends and family want to catch up and go out for dinner and drinks. I usually give in to Christmas and just let myself enjoy and indulge. I often end up eating and drinking way more than I should, usually not really thinking about what I am putting in my body. This then results in feeling bloated, greedy, frustrated with myself and hideous heartburn. Why I do this to myself I do not know. I say to myself I will lose the weight in January, like many people, I guess! However, I do lose some of the weight but never get to my goal, because before you know it, its Easter and its chocolate temptations. Feels like a constant battle and the weight just keeps piling on! The week before Christmas, Rena and Alix suggested I do a few days on level 2 and a few days on level 3 before coming off completely, so it was a gradually process and I did. Level 2 is helpful because you can go out to dinner with friends and family but arrange to have something like a grilled chicken breast with green salad or vegetables for example, which still keeps you in ketosis. No alcohol though, but that’s manageable and much easier to get home in the cold! I was able to go to my work Christmas bash and not feel left out of the festive celebrations. Christmas day I had decided that I was going to allow myself to have what others were having but not go crazy like I would normally. I did find I was able to recognise when I was full and so was able to stop before eating too much. We also went for a long walk to ensure we did some exercise to try to burn some calories. We flew to Australia on Boxing day and my aim was to ensure I exercised at least 4 times a week and make healthy choices where I could. 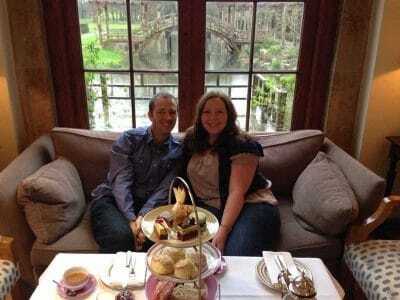 I didn’t want to waste all the effort and money I had out into losing the 3 stone I had lost. I did what I set out to do and my Partner Alistair was very supportive, we got up and went for a run in the morning or to the gym at the hotel. I never usually exercise on holiday, so this was a real change for me. I see holidays again as a time to indulge and relax (bit of a pattern here!) However, I found I made more of the day and felt so much better for having done the exercise and felt proud of myself that I had made a change. We were away for just over 3 weeks and I would say I did exercise for the majority of the first 2 weeks but things started to reduce on the 3rd week, especially when the draw of the holiday was coming to an end. I was starting to stray from the healthy choices and slipping back into old habits. This continued once we got home to the dark, cold and wet! The holiday blues were setting in and the motivation to exercise slipped away very quickly with the jet lag. Unfortunately, I hadn’t booked my sessions at the clinic in advance and I couldn’t get an appointment until 2 weeks after we had returned home. But I did make plans and ensured I had enough Alevere food. A few days after getting back I started back on the plan but struggled to keep motivated and kept being tempted to stray from the path. The week before I was due to attend the clinic my old habits were coming back with a vengeance, I was eating lots of biscuits and cakes especially at work. I feel I put more weight on during this period, than when I did in Australia. I was happy to finally get back to the clinic and get weighed because I knew it would get me back on track. I was weighed and I had put on a stone in 6 weeks! Wow! And not in a good way. I was so annoyed at myself but at the same time I had enjoyed my holiday, which wasn’t a type of holiday I would do regularly. I picked myself up and managed to get through my first week and stay on track with a reward of losing at the end of that week. It then got easier again as I got back into my routine and I am managed to get that stone back off in 4 weeks. 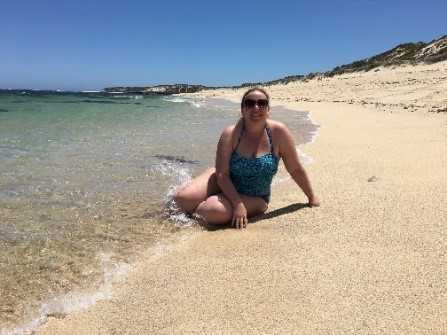 On one of Western Australian beautiful beaches, not quite ready for a bikini yet, but maybe this summer? Rena is my main therapist because I have sessions mainly on Saturday and she has been with me on this rollercoaster ride this past year. I felt I had not only let myself down but the team therapists too. But Rena and Alix helped me to pick myself up again and helped motivate me, support me and made me smile when times were tough. I look forward to my sessions at the clinic every week, knowing I will have lost more weight and I can relax and be myself. I also know I will have someone there to talk through the tough times with the program and life! Now we are now up-to-date with my journey thus far and I am back at the point of 3 stone loss, which given the journey I have had, really is amazing. I still have far to go but I know I can do it with the support from the team at the clinic. Join me next week to see how things have gone this fortnight. With no more major holidays on the horizon, its time to knuckle down and full steam ahead with the weight loss. Just as a recap in regard to weight, I was 115.5kg when I started the program and just before I left for Australia, I had got down to 93kg. I am now at my lowest weight so far at 92.8kgs, which feels great! Feeling motivated to keep going as my goal is about 62kg, only about 30kgs to go!! o motivated to workout and do exercise, because I had a goal. However, since returning to the program, I am really struggling with getting motivated to exercise. I am motivated to do the program and have no issues with the food side of the program, but I have noticed that my weight loss has been slightly less these past weeks, compared to previously when I was exercising more. I was completing exercise with work colleagues twice a week and working out with my partner at home or going jogging at least another 2 or 3 times. However, these past few weeks I have only being doing 2 cardio types of exercise and a long walk at the weekend……which is not enough to help budge the weight more quickly. So, I need a change as my previous routine is no longer working for me. My partner and I have decided to join a gym. It took quite a bit or research to find the best value and one that offered classes that we would both enjoy. I know I will need incentive to go to a gym, because I have tried them before, and the motivation soon dwindled. This was probably due to the fact that I was working out hard but not losing weight, which was due to eating all the wrong foods and not being able to stick to a diet! So, we have joined a gym and have our induction next week. I feel like I have a plan now and will keep you posted on how it goes. It was a learning curve having come off the program for my holiday. It made me realise that my habits are still there in the background, just waiting to come out! Talking it through with Rena and Alix, they highlighted that its not just losing the weight. It is maintaining those good habits you have developed on the program and incorporating them into your new lifestyle. I find the program quite easy to follow because it is all planned for you. You get to make choices, but you are limited in what you can choose, definitely not naughty treats! But there are some treats, I like the puddings and the bars because I still feel like I am having a treat and it’s not naughty! It’s when you are out in the big wide world that the options are endless and it is very difficult to make those healthy choices. Especially when temptation is all around you. Alix recommends that planning is key and if you plan, you are more likely to make the healthier choices. Very wise words. I know I am not at that stage yet, but just having this little break has made me aware I need to think about the long term, not just the initial weight loss. Currently I find planning really helps me stay on track at the moment too. I plan all my work lunches on a Sunday and batch cook and freeze them. I mainly use only unlimited vegetables, so that I know where I am with my daily amount of these types of vegetables or fruit. Then I tend to have some fruit after my lunch and include the rest of my allowance in the evening meal. Sometimes I have different vegetables and sometimes fruit, depending on what mood I am in, which allows me to vary my options. I don’t like to plan my evening meals because I go with what I feel like on the night and they usually don’t take long to prepare. If I feel like a pudding, I will cook up a vegetable stir fry and use lots of seasoning to jazz it up and then have a pudding with raspberries or strawberries. I love putting beetroot in my stir-fry’s, just gives it a different flavour and colour! 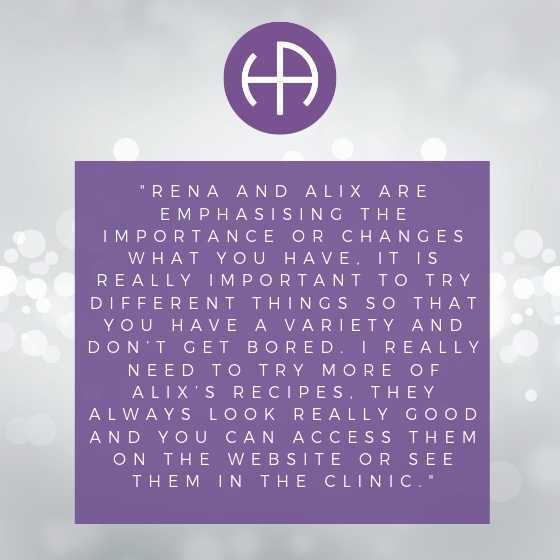 Rena and Alix are emphasising the importance or changes what you have, it is really important to try different things so that you have a variety and don’t get bored. I really need to try more of Alix’s recipes, they always look really good and you can access them on the website or see them in the clinic. I haven’t been very adventurous and just stick to what I know and like but from now on I am going to try a recipe each fortnight and see what they are like…..will let you know how I get on. This is me and Alistair just outside Sydney. I really don’t like this picture because I feel I still look so overweight, even though I actually felt great at the time because I had still lost 3 stone at that point. I hate having my photo taken because of this and as a result there are not many pictures of me on holiday….but I am hoping this will change! 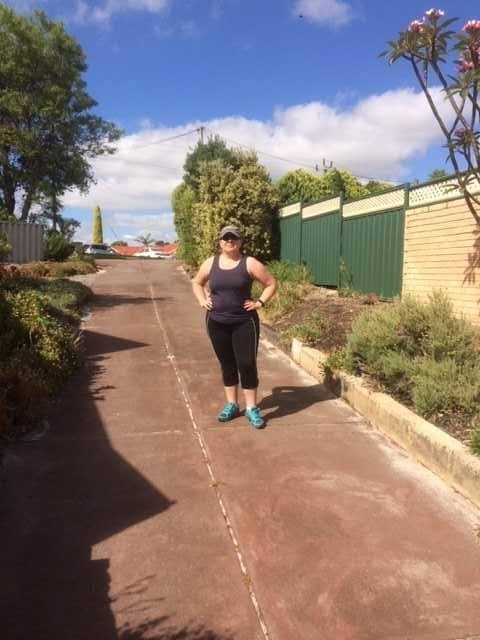 Keeping fit by jogging in the morning on holiday…a first for me! 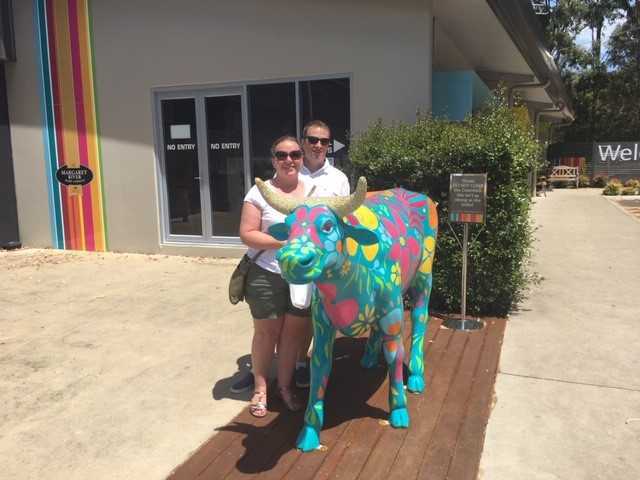 Visiting a dairy factory….a typical photo that involves me hiding behind something in the photo. Hopefully in the future I will be stepping out with confidence. This is an older photo of me back in 2012 (On the left) when I was about 13 stone and was feeling overweight at that time but I then slowly crept up the weight to 17.5 stone in 2017 and then really felt overweight. This was me on my 39th birthday, when the weight was creeping up. I was hoping by my 40th birthday I would be much lighter but another year past and then weight went up instead of down with continual yo-yo dieting. 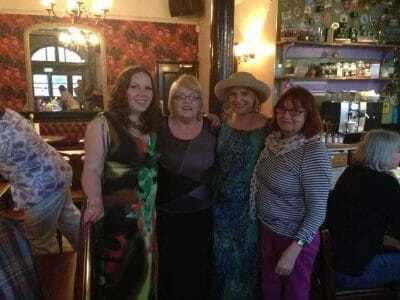 This was me on my 40th birthday with my mum, sister and aunty and with my dad on the right. The whole family struggles to keep control of their weight and have watched my family also continually yo-yo diet. I felt very confident and happy on my birthday but when I saw the photos I was so disappointed at how big I actually looked. This is my partner and my two step Children. My partner understands how much being overweight bothers me and how it impacts on my confidence and happiness. He too struggled with being overweight as a child and can empathise with the way it impacts on your life. He has been my rock through the program and was even the one who found out about the program and suggested it to me because at the time I was so unhappy and struggling to find a way of losing weight successfully. 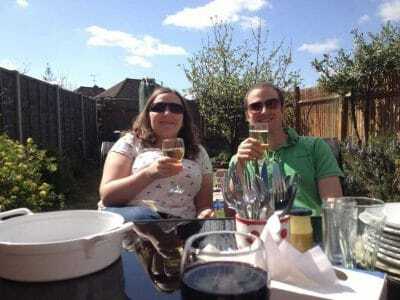 Myself and my partner both love our food and I would often arrange afternoon teas, meals out and weekends away that revolved around food and alcohol. Which was fun at the time but then I would feel unhappy because I was sabotaging my weight loss and just kept going around in circles! 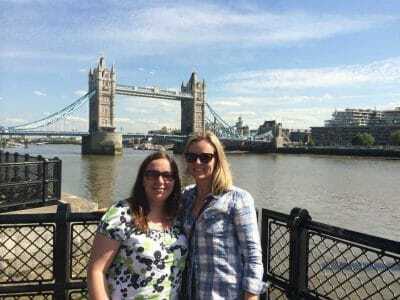 Friend visited from Australia in 2015 and went on a tour of London, felt very self-conscious about my weight because we hadn’t seen each other for a few years and my weight had crept up since. However, that didn’t bother my friend, she was just happy to see me, but in my mind I frustrated at myself and it consumed my thoughts about what I looked like. 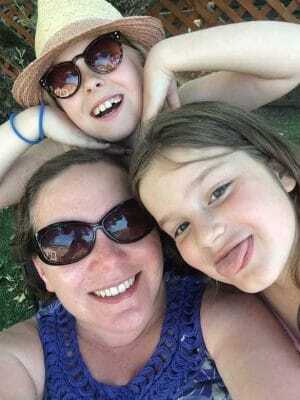 This photo was taken in 2015 on one of the hottest days of the year with my two step daughters. I look happy in the photo but felt so overweight in the hot weather. However, the girls have been supportive since I started the program and always praise me that I am doing well and look so much better…..certainly gives you a boost to keep going.